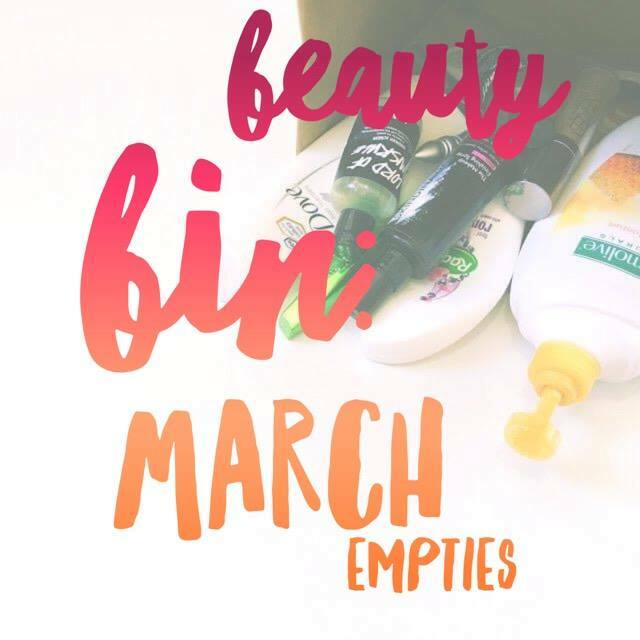 Another month has passed us by, which means another empties post to go through for you guys! Sadly, I didn't get through as many products this month as I was hoping but I think it was still a fair effort. Keep reading to go through the trash with me. 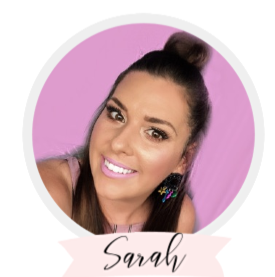 As per usual, I have made my way through way more bath and shower products than makeup products but that is to be expected since many of these items are used daily and I tend to rotate my makeup products quite a bit more! Palmolive Naturals Shower Gel Milk & Honey - This is an awesome no fuss shower gel that works well for anyone and is a great all rounder. I buy this one a lot because it comes in a 2L size and its super cheap and lasts longer than a regular sized shower gel. Radox Feel Romantic Shower Gel - I honestly only picked this up because I forgot to pack a shower gel when I was on a trip and it was super cheap. I ended up loving the scent and it reminded me a little of 'Twilight' by Lush Cosmetics. Repurchase? Would definitely repurchase again for the price! 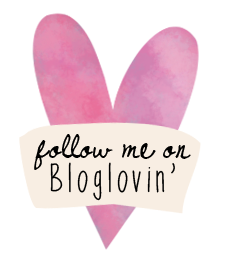 Dove Daily Moisture Shampoo* - I love this range from Dove, and it's a great option for an affordable shampoo that works well and leaves your hair feeling super clean and silky smooth. Repurchase? I have actually been sent some more of this shampoo from the lovely people at Dove, so I won't need any more for a while now. Lush Lord of Misrule Shower Gel - Unfortunately for us aussies, this shower gel came in a limited edition Christmas gift pack, and is not available for purchase on it's own in aussie stores. I originally got this for my husband in a men's gift pack, and didn't think I would like the shower gel with notes of patchouli, peppercorn and black pepper with some vanilla sweetness however whenever he was using it in the shower, I loved the smell and eventually I was fighting him for the last few drops! Repurchase? I would definitely repurchase this when it comes out in gift packs again. Lush Twilight Shower Gel - Similarly, I also received this shower gel in a limited edition gift pack. You can read about my Lush Cosmetics Haul here. Twilight is one of my favourite bath bombs from Lush, so I was excited to try the matching shower gel. The fragrance is a mixture of lavender and sweet tonka, and is definitely quite similar to the bath bomb. Repurchase? I would definitely buy this again when it becomes available in Australia. Real U Gentle Foaming Wash* - I have a full post up on the blog about the Real U Skincare Brand if you would like more information. This is a nice everyday cleanser that works well at removing makeup, dirt and oil from the skin. Repurchase? I'm not sure if I would repurchase this product. I liked it but it wasn't my absolute favourite. The Body Shop Shea Body Butter - I started using this on the dry patches of my elbows and knees, and instantly fell in love with the thick and rich formula of this body butter that just seems to melt into the skin and dry fairly quickly while giving the body a major boost of moisture. I love applying this before bed and letting it soak into the skin overnight. I also love the fresh scent of the shea butter. Repurchase? I will definitely be repurchasing the full size of this product. Skindinavia Bridal Setting Spray - I am so obsessed with this setting spray!!! It is definitely my #1 favourite setting spray. It took me a long time to work through this bottle, and I definitely think it's worth the price tag. Repurchase? I will definitely repurchase this setting spray again. Urban Decay Cosmetics Original Eyeshadow Primer Potion - As you can see from the worn out packaging, this guy has been with me for a long time. They aren't kidding when they say it will last you forever! This used to be a HG of mine for preventing my eyeshadows from creasing, but I have since moved on to the Too Faced Shadow Insurance which is my favourite now. Urban Decay Naked Skin Foundation - I already have a full review of this amazing foundation which you can read here. It's definitely one of my holy grail foundations, and I think it is such a great multi-tasker, since it can be great for everyday use or built up to full coverage for more formal events where you want your skin looking flawless. It also doesn't contain SPF so it looks amazing when you are being photographed. Repurchase? I will most definitely be repurchasing this foundation, unfortunately for my wallet. Nature's Care Paw Paw Balm - I bought this from Priceline, just as a once-off for when my lips were feeling very dry and someone recommended I try a paw paw ointment. I actually really don't like this one as it is extremely greasy, and seems to come out too liquidy, which gets everywhere and makes a mess. I have since found other paw paw ointments that work a lot better for me. Rimmel London Wake Me Up Mascara* - I actually really enjoyed this funky release from Rimmel with a mascara that smelt like cucumbers. I think that this mascara gave a nice black finish and worked well at creating volume, but especially towards the end of the tube it became very flaky. It also has quite a wet formula which can get a little messy. Repurchase? I probably wouldn't repurchase this one after finding others I like better. Benefit They're Real! Mascara - This was definitely my favourite mascara before Benefit released Roller Lash, which I still think I like the best out of them all. I still really enjoy They're Real! and think it's amazing for creating great volume and thick lashes. Maybelline Lash Sensational - A great drugstore rival to the Roller Lash mascara is this offering from Maybelline. I absolutely love the formula as well as the brush and cannot fault this mascara, since it offers length, volume and curl. One of my favourite drugstore mascaras. Repurchase? I had already purchased a backup, I will break open once I get through some others. Well, those are all the empties I managed to make my way through over the month of March! Not too bad considering how many I got through over the previous two months as well. What products have you recently gotten through?